Preferred securities, also known as “preferreds” or “hybrids,” share the characteristics of both stocks and bonds, and may offer investors higher yields than common stock or corporate bonds. Understanding preferreds is an important first step in determining if they are an appropriate investment. Traditional preferred securities (“preferreds”) are fixed-income investments with equity-like features mainly issued by large banks and insurance companies. These securities are perpetual and callable, typically pay dividends instead of coupons, offer multiple rate structures, often have investment grade ratings, and are subordinated in the capital structure. Perpetual and Callable: Traditional preferreds are issued as perpetuals, i.e. with no stated maturity, but have call options typically at 5 or 10 years. Dividends, Not Coupons: Traditional preferreds pay dividends rather than coupons and in periods of severe stress the issuer may skip a payment without triggering a default. Income earned from preferreds can be taxed at a federal rate which historically has been considerably less than ordinary income tax rates that are applied to other fixed income securities. Different Rate Structures: Preferreds that have more debt-like traits can have fixed rate, floating rate, or fixed-to-floating rate dividends. Floating rate structures offer significantly less interest rate risk than fixed rate bonds. Junior Ranking in the Capital Structure: Preferreds rank lower than senior debt and higher than common equity. That means, in the event of an issuer’s default, investors holding that company’s preferreds will get paid back after the bondholders and before the stockholders. Higher Quality Ratings: Preferreds are often issued by investment grade entities and even though they are typically ranked two or more notches below an issuer’s senior debt, many preferreds still garner investment-grade ratings. Why do companies issue preferreds? Preferreds are issued primarily by banks and insurance companies. REITs, utilities and other financial institutions also issue preferreds. Preferred securities count toward regulatory capital requirements so banks issue preferreds to help them maintain their required capital ratio. Preferreds can also offer issuers structural benefits, lower capital costs and improved agency ratings. Preferreds are attractive because they can provide investors with the potential for a relatively high source of income, diversification from core bonds, reduced portfolio volatility, lower risk of default, reduced interest rate risk and certain tax advantages. Attractive Risk/Return Profile: Preferreds offer an attractive combination of relatively low interest rate risk and relatively high yields compared to some traditional fixed income. They are typically higher quality than high yield bonds – particularly U.S. preferreds which are on average investment-grade rated – while still offering solid return potential. Diversification Benefits: A dedicated allocation to actively-managed preferreds can help reduce interest rate risk and enhance return when used to diversify from core bonds, or reduce volatility while enhancing income potential when used to diversify from equity. Lower Default Risk: A significant proportion of preferreds are issued by banks and the banking sector historically has a lower default rate than other sectors. From 1983 to 2016 the default rate of the banking sector averaged 0.5% while all other sectors averaged 2.3% (Source: Moody’s). Tax Advantages: Preferred dividends are taxed at qualified dividend income (QDI) rates, at roughly 20%, are considerably less than ordinary income tax rates (top federal rate of 37%). This means that for U.S. investors, preferred stocks may provide a compelling after-tax yield relative to other asset classes. Reduced Interest Rate Risk: Many preferreds can reduce the interest rate risk in a diversified portfolio given their potential to be called by the issuer and or become floating rate securities. With potential relatively high starting yields, preferreds may be used as a substitute for equities or high yield bonds. What are some other types of preferreds? Preferreds and AT1/CoCos all sit above common equity in the capital structure but below senior debt, and are meant to absorb losses before senior debtors. In order to absorb losses, preferreds can be converted from debt to equity or their par value can be written down based on regulator discretion but AT1/CoCos explicitly state the capital level that would trigger a write-down or conversion. Preferreds dividends, like equity dividends, are discretionary in nature and not mandatory. For issuers of traditional preferreds to defer dividend payments, they must also stop their common dividend while issuers of AT1/CoCos have full discretion stop paying dividends regardless of the common dividend. What are some preferred investment risks? Similar to other fixed income investments, preferred securities’ performance can be affected by interest rates and credit risks. Because preferreds have direct exposure to the overall health of the banking/financial system, returns could be relatively volatile in the event of a shock to the financial markets. Preferreds also contain risks that traditional bonds do not, including coupon deferral risk, conversion risk and write-down risk. Since the 2008 financial crisis, bank balance sheets have generally grown stronger with higher capital ratios and, in parallel, the preferreds they issue have also improved credit quality. 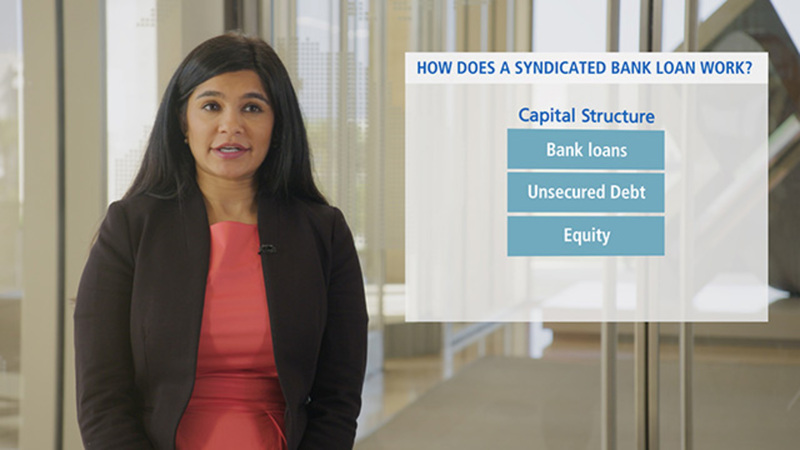 Strong banking system fundamentals, the influence of regulation and compelling valuations can make preferreds an attractive addition to an investor’s portfolio. Contingent Convertible (“CoCo”): CoCos are preferreds that are written down or converted into equity in order to absorb losses when explicit capital requirements of the issuer are breached. Dividends Received Deduction (DRD): A tax provision that allows certain corporations to deduct from taxable income 50% of the dividends received on certain preferred and other equity securities. Preferreds whose payments qualify for this treatment are called DRDs. Most domestic non-REIT perpetual preferreds are DRDs. Fixed Rate: Fixed rate preferreds have a set interest rate which does not fluctuate for its entire term, but are typically callable after 5 or 10 years. Fixed-to-Floating Rate: Fixed-to-floating rate preferreds are typically callable after 5 or 10 years, but their coupon will become floating rate if the security is not called by the issuer. Those preferreds reset to floating rates at a spread over a short term borrowing rate like 3 month LIBOR resulting in lower price sensitivity to changes in interest rates. Floating Rate: Floating rate preferreds offer a dividend or coupon that is reset at specified intervals according to a predetermined formula. Perpetual: Perpetual preferreds have no stated maturity date and remain outstanding unless called. Qualified Dividend Income (QDI): QDI income is considered dividends for federal tax purposes. U.S. taxpayers who are invested in a QDI-eligible security for more than 90 days during the 121-day period beginning 90 days before the ex-dividend payment face a maximum statutory tax rate of 20% on the dividend. The Medicare surtax imposes an additional 3.8% tax on both interest and dividend income for high income individuals, making the top effective rate 23.8%. Regulatory Capital: Regulatory capital is the amount a bank or other financial institution is required by its financial regulations to hold. This requirement is commonly expressed as bank capital ratio, calculated by dividing a bank’s regulatory capital by its risk-weighted assets. Investing in preferred securities is subject to greater credit risk, limited voting rights, interest rate and liquidity risks. Investing in the bond market is subject to risks, including market, interest rate, issuer, credit, inflation risk, and liquidity risk. The value of most bonds and bond strategies are impacted by changes in interest rates. Bonds and bond strategies with longer durations tend to be more sensitive and volatile than those with shorter durations; bond prices generally fall as interest rates rise, and the current low interest rate environment increases this risk. Bond investments may be worth more or less than the original cost when redeemed. Concentration of assets in one or a few sectors such as financial services may entail greater economic risk than a fully diversified portfolio. Equities may decline in value due to both real and perceived general market, economic and industry conditions. Investing in foreign-denominated and/or -domiciled securities may involve heightened risk due to currency fluctuations, and economic and political risks, which may be enhanced in emerging markets. High yield, lower-rated securities involve greater risk than higher-rated securities; portfolios that invest in them may be subject to greater levels of credit and liquidity risk than portfolios that do not. Investments in illiquid securities may reduce the returns of a portfolio because it may be not be able to sell the securities at an advantageous time or price. Contingent Convertible (“Coco”) Bonds are bonds that are converted into equity of the issuing company if a pre-specified trigger occurs. Co-cos are subject to a different type of risk from traditional bonds and may result in a partial or total loss of value or may be converted into shares of the issuing company which may also have suffered a loss in value. Diversification does not ensure against loss. Preferred securities are also subject to call risk or the risk that an issuer may exercise its right to redeem a fixed income security earlier than expected which may negatively impact a portfolio. Capital securities risk is the risk that the value of securities issued by U.S. and non-U.S. financial institutions to satisfy their regulatory capital requirements may decline in response to regulatory and legislative changes. The credit quality of a particular security or group of securities does not ensure the stability or safety of the overall portfolio.